The Character In Action Conference will take an in-depth look into restorative practices. During this two-day conference, explore concepts and ideologies on Restorative Practices and analyze what an equity based, restorative mindset looks like across schools and organizations. Opening Session Keynote: Perspectives in Restorative Practices from community to justice to education from a panel of community and educational leaders. Day ONE: Breakout sessions led by educators will help participants develop a restorative mindset and practice; use data to move toward equity in discipline; and understand the principles of creating policies. Day TWO: Experience it! the connective power and impact of Circles, Restorative Questions and Re-entry by observing others demonstrate effective implementation techniques, as well as being an active participant. Learn from practitioners who utilize every phase of the process in their school buildings and how you can encourage the implementation of these practices within your school or organization. No matter where you are on the restorative practices continuum – from beginner to advance – or your role – teacher or administrator – this conference is designed to help you gain better understanding and comfort with restorative practices. 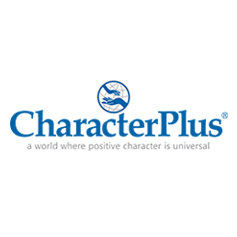 Visit the CharacterPlus website for additional information & our Hotel Information if you need to book accommodations. 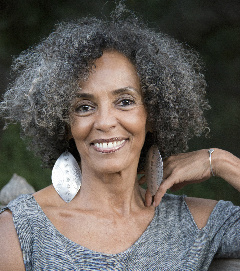 *In addition to Fania’s conference keynote, she will be speaking Thursday night at the Missouri History Museum. Her presentation “Restorative Justice, Community Healing and Interrupting the School-to-Prison Pipeline” will be free to the community. Fania E. Davis is a leading national voice on restorative justice. She is a long-time social justice activist, civil rights trial attorney, restorative justice practitioner, writer, professor and scholar with a PhD in Indigenous Knowledge. Coming of age in Birmingham, Alabama during the social ferment of the civil rights era, the murder of two close childhood friends in the 1963 Sunday School bombing crystallized within Fania a passionate commitment to social transformation. Fania, writes and speaks internationally on restorative justice, racial justice, school-based restorative justice and restorative justice to promote community peace and healing.